BROWNSVILLE TN (January 19, 2019): Image is used to sell everything – and in the 1960s it sold Soul. Memphis’ own Stax Records used vivid imagery to sell its artists and music to the world. At the center of this effort was Allied Photographic Illustrators (API). Thirty rare images from the API archives are now on exhibit at the West Tennessee Delta Heritage Center, in Brownsville, through March 5. The exhibit, “Portraits in Soul,” features legendary performers such as Isaac Hayes, Sam and Dave, Donald “Duck” Dunn, Steve Cropper, Rufus Thomas and more dating from 1962-1969. All were photographed and developed by William Carrier, Sr., founder of a small, family-run photography shop located in downtown Memphis. The images have been preserved and organized by Carrier’s son, Bill, and retouched by his granddaughter, Morgan Bailey Carrier, making this a three-generational project. “In 1946, William Carrier formed API and hired Bill Kingdom and Joe Cianciola,” explains Bill Carrier III, who has grown and expanded the family business to include a film/video company that works closely with the motion picture industry. Stax founder, Jim Stewart, and Carrier shared an interest in music and similar ideas about how the Stax artists should be portrayed for publicity purposes. Many of the photos were originally seen in black and white, but Carrier and his team encouraged bright colors and used vibrant backgrounds to enhance their photos. When in the studio, the API team sought to capture the “soul” of a Stax recording session – including the intensity, collaboration and the professionalism. This played a critical role in Stax’s promotional strategies. It communicated a contemporary style and class without losing the label’s defining edge and grit. Most of API’s photos were shot in 120 format on Kodak film using Speed Graphic cameras. This format produced 2-1/4″ x 2-1/4″ negatives, resulting in the square portraits seen in the exhibition. 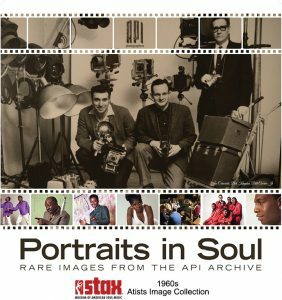 CAPTION: “Portraits in Soul” is a collection of rare Stax photos taken by API Photographers during the 1960s and on exhibit at the Delta Heritage Center in Brownsville through March 5. 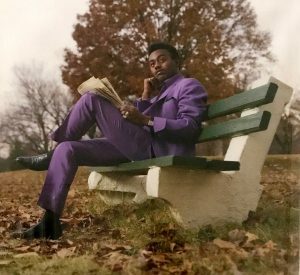 The images include this cover shot for Johnnie Taylor’s first Stax LP, 1967’s “Wanted: One Soul Singer,” taken by William Carrier Sr.